President Lincoln recalled late August 1864 as a time “when as yet we had no adversary, and seemed to have no friends.”1 Everyone in the Republican Party seemed unhappy. Republicans who backed Mr. Lincoln were convinced he was headed for defeat. Republicans who didn’t back Mr. Lincoln were convinced a replacement needed to be found. Mr. Lincoln himself seemed to fall victim to this cloud of gloom and doom. At times the search for a Republican successor to President Lincoln assumed almost comic aspects. His enemies looked for a candidate with a positive military record. Eventually, Rosecrans’ mediocre showing on the battlefield ruled him out. Other possibilities included General Ulysses S. Grant, whose capture of Vicksburg in July 1863 boosted his public profile and General Benjamin Butler, a onetime Democrat whose strong hand in dealing with rebels brought him radical admirers. But while politicians were checking out the possibilities, Mr. Lincoln also seemed to use trusted allies to check out Grant and Butler — to make sure that their political ambitions wouldn’t interfere with their military duties. I had a letter this morning from a very intelligent politician, of much influence, in N. York, urging me to consent to a postponement of the convention till Sept. Some time ago, a committee called on me to urge the same matter. In connection with this, it is well known that Mr. [William H.] Seward has never ceased to think he will succeed you, and that his faithful manager hopes to carry him into the Presidency next March, by his skill, aided perhaps by the millions made in N. York, by army & navy contracts. Another, and I think a wiser party, look to the election of Gnl. Dix.2 The least failure this summer, some now think, will ensure your defeat, by bringing forward a negative man, with a cultivated character such as [General John A.] Dix has acquired by avoiding all responsibility, & always obtaining with every party in power, a high position. I am against all postponements, as I presume you are, but I look upon this moment as being so formidable that I should like to have a full & free conversation with you, concerning it & the campaign.— There are many points which would probably enable me to do some service, — & as I am in the contest, with no wish saving your success — and with little business to interfere, I desire to guard against all surprizes.— You are always so much employed when I am in Washington, that I have hesitated to occupy your time, — and but, if you will drop me a line saying when I can come to your house, with the chance of an hours uninterrupted talk, I will obey it. Among the more prominent men who arrived before the opening of the convention must be included General John Cochrane; Edward Gilbert, president of the Fremont Club of New York; Colonel Charles Moss of Missouri; former Senators Colvin and Carroll of New York; and some members of Fremont’s military staff. Many who had been prominent in arranging the meeting were conspicuously absent: Wendell Phillips, Horace Greeley, and Frederick Douglass among them. Before the convocation of the regular meeting a group of twenty-seven Germans, representing ten states and the District of Columbia, assembled and drafted resolutions favoring the creation of a new party to be known as the ‘Liberty party.’ The rest of the resolutions adopted were similar to those drafted the preceding year and foreshadowed those to be adopted at the regular meeting. Of course, the Post retorted, assailing Weed as father of the lobby at Albany and as a gridiron-railroad bill manager, and insinuating that he had acted corruptly at the beginning of the war in the chartering of the steamer ‘Catiline‘ for the use of the government, a transaction which had created a scandal. In reply, Weed, not only defended the ‘Catiline‘ business, but declared that he was entirely disconnected with the affair. However, it appeared from his own statement that he had endorsed notes for John E. Develin, with which the latter had advanced money to the person who purchased the ‘Cataline‘ after it had been verbally chartered by the government agent; but, according to Develin, Weed did not know the object for which the notes were drawn. From Opdyke, Weed received both a denial and a lawsuit. This was just one of several severe unpleasantries with which Lincoln had to deal in June, July and August. He also had to confront the failure of the Union Army to score a decisive victory over Confederates in Virginia, the invasion of Washington by a strong Confederate force, the failure of the peace negotiations in Niagara Falls initiated by Tribune editor Horace Greeley, and the protest initiated by his pocket veto of the Wade-Davis Reconstruction Bill at the end of the July session of Congress. 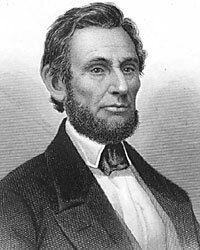 Republican Senator Benjamin Wade of Ohio and Congressman Henry Winter Davis of Maryland responded with a vitriolic attack on President Lincoln — the Wade-Davis Manifesto — that was published in the New York Tribune on August 6. It was a trying time for the country’s President. I feel compelled to drop you a line concerning the political condition of the Country as it strikes me. I am in active correspondence with your staunchest friends in every State and from them all I hear but one report. The tide is strongly against us. Hon. 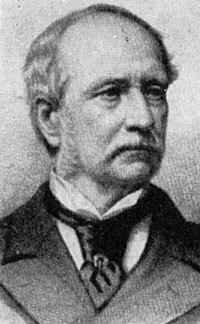 E. B. Washburne writes that “were an election to be held now in Illinois we should be beaten”. Mr. Cameron writes that Pennsylvania is against us. Gov. [Oliver H. P.] Morton writes that nothing but the most stren[u]ous efforts can carry Indiana. This State, according to the best information I can get, would go 50.000 against us to morrow. And so of the rest. Two special causes are assigned for this great reaction in public sentiment, — the want of military successes, and the impression in some minds, the fear and suspicion in others, that we are not to have peace in any event under this Administration until Slavery is abandoned. In some way or other the suspicion is widely diffused that we can have peace with Union if we would. It is idle to reason with this belief — still more idle to denounce it. It can only be expelled by some authoritative act, at once bold enough to fix attention and distinct enough to defy incredulity & challenge respect. Why would it not be wise, under these circumstances, to appoint a Commission, in due form, to make distinct proffers of peace to [Jefferson] Davis, as the head of the rebel armies, on the sole condition of acknowledging the supremacy of the Constitution, — all other questions to be settled in convention of the people of all the States? The making of such an offer would require no armistice, no suspension of active war, no abandonment of positions, no sacrifice of consistency. If it should be rejected, (as it would be,) it would plant seeds of disaffection in the South, dispel all the peace delusions about peace that previal [sic] in the North, silence the clamorous & damaging falsehoods of the opposition, take the wind completely out of the sails of the Chicago craft, reconcile public sentiment to the War, the draft, & the tax as inevitable necessities, and unite the North as nothing since firing on Fort Sumter has hitherto done. I beg you to excuse the earnestness with which I have pressed this matter upon your attention. It seems to me calculated to do good — & incapable of doing harm. It will turn the tide of public sentiment & avert impending evils of the gravest character. It will raise & concentrate the loyalty of the country &, unless I am greatly mistaken, give us an early & a fruitful victory. Permit me to add that if done at all I think this should be done at once, — as your own spontaneous act. In advance of the Chicago Convention it might render the action of that body, of very little consequence. Benjamin F. Butler, Butler’s Book, Volume II, p. 632-634. Allan Nevins, Fremont, Pathmarker of the West, p. 571. Wayne C. Tremont, Abraham Lincoln: From Skeptic to Prophet, p. 138. William Frank Zornow, Lincoln & the Party Divided, p. 78-79. Sidney David Brummer, Political History of New York State During the Period of the Civil War, p. 384-386. Sidney David Brummer, Political History of New York State During the Period of the Civil War, p. 387-388. George H. Mayer, The Republican Party, 1854-1964, p. 115. George H. Mayer, The Republican Party, 1854-1964, p. 117. Burton J. Hendrick, Lincoln’s War Cabinet, p. 454. James G. Randall, Lincoln the President: Last Full Measure, p. 211. William Frank Zornow, Lincoln & the Party Divided, p. 114-116. James M. Trietsch, The Printer and the Prince, p. 276. William Harlan Hale, Horace Greeley: Voice of the People, p. 287-288. William Frank Zornow, Lincoln & the Party Divided, p. 115-116. David Donald, editor, Inside Lincoln’s Cabinet: The Civil War Diaries of Salmon P. Chase, p. 238. William Frank Zornow, Lincoln & the Party Divided, p. 116. Francis Brown, Raymond of the Times, p. 260. Abraham Lincoln Papers at the Library of Congress. Transcribed and Annotated by the Lincoln Studies Center, Knox College. Galesburg, Illinois. (Letter from Thurlow Weed to William H. Seward, August 22, 1864). Roy P. Basler, editor, The Collected Works of Abraham Lincoln, Volume VII, p. 514 (August 23, 1864). Francis B. Carpenter, The Inner Life of Abraham Lincoln: Six Months at the White House, p. 275. Roy P. Basler, editor, The Collected Works of Abraham Lincoln, Volume VII, p. 517 (Letter to Henry J. Raymond, August 24. 1864). David E. Long, The Jewel of Liberty, p. 192. Francis Brown, Raymond of the Times, p. 261. Michael Burlingame, editor, With Lincoln in the White House: Letters, Memoranda, and Other Writings of John G. Nicolay, 1860-1865, p. 152 (Letter from John G. Nicolay to John Hay, August 25, 1864). John Waugh, Reelecting Lincoln, p. 270. Abraham Lincoln Papers at the Library of Congress. Transcribed and Annotated by the Lincoln Studies Center, Knox College. Galesburg, Illinois. (Letter from Richard M. Corwine to William P. Dole, August 26, 1864). Burton J. Hendrick, Lincoln’s War Cabinet, p. 456-457. Gideon Welles, Diary of Gideon Welles, Volume II, p. 131 (August 31, 1864). Robert S. Harper, Lincoln and the Press, p. 309. Robert S. Harper, Lincoln and the Press, p. 314. Charles Sumner, The Selected Letters of Charles Sumner, Volume II, p. 253 (Letter from Charles Sumner to John Bright, September 27, 1864). Michael Burlingame and John R. Turner Ettlinger, editor, Inside Lincoln’s White House: The Complete Civil War Diary of John Hay, p. 234 (September 29, 1864). Sidney David Brummer, Political History of New York State During the Period of the Civil War, p. 420-421. Sidney David Brummer, Political History of New York State During the Period of the Civil War, p. 431. Michael Burlingame and John R. Turner Ettlinger, editor, Inside Lincoln’s White House: The Complete Civil War Diary of John Hay, p. 248 (November 11, 1864). Harlan Hoyt Horner, Lincoln and Greeley, p. 332. John Waugh, Reelecting Lincoln, p. 162-163.